This RAW RYO Box is going to be a RAW roller’s favorite rolling accessory! 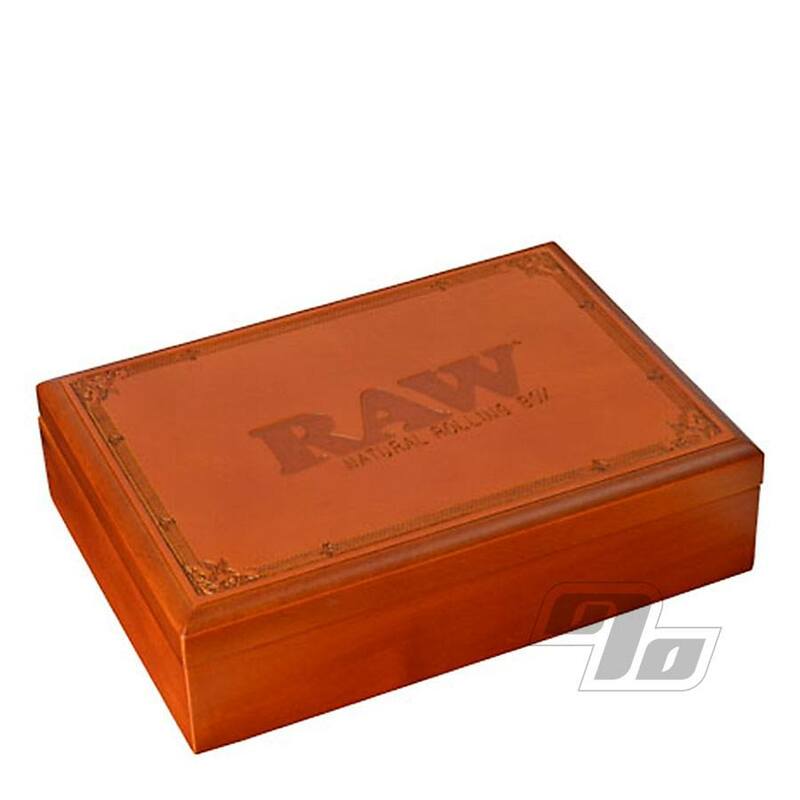 The RAW RYO Box is a stylish, custom wood box with a intricate RAW etching on top of natural finish. The lid is held in place by four magnets, keeping it secure while in motion or bouncing around the couch. Inside the RAW RYO Box is where the RYO name starts to make sense; RYO = Roll Your Own. Start with three sections to keep your herbs separate from your RAW Papers, tips, and other RAW Accessories. 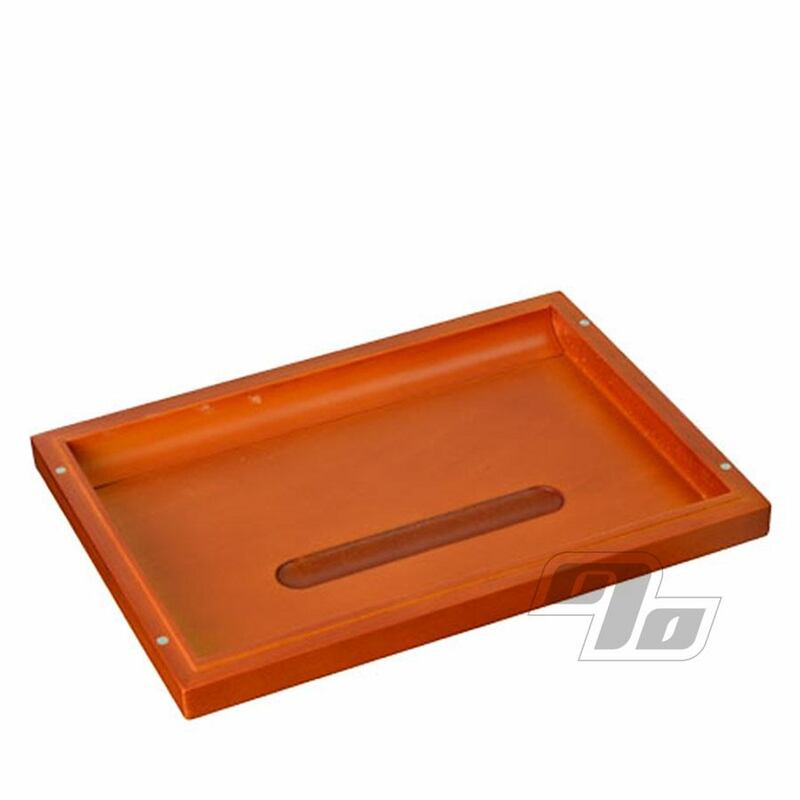 Flip the lid over and you have a super handy rolling tray that sits perfectly on top the box. There's even a cut out to hold your joint in progress while you prep the filling and filter. 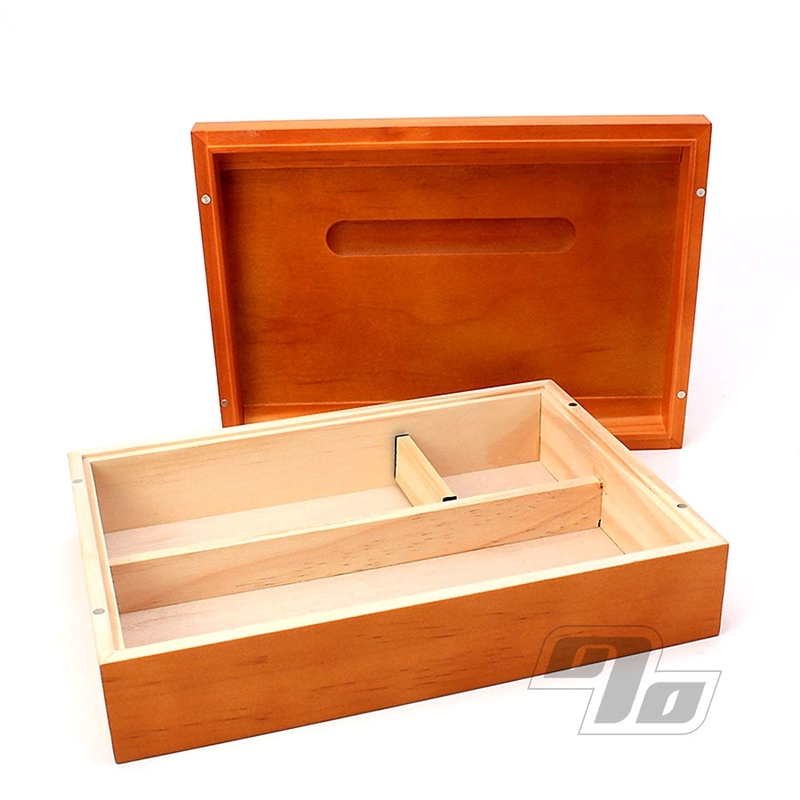 This fine wood rolling box is a must have for all RAW Smokers who like to keep it organized. A place for everything.